Southampton scientists are leading a team of international experts who are set to receive a multi-million pound grant from Cancer Research UK, to devise new immunotherapy treatments for cancer. Experts from the Cancer Research UK Centres in Southampton* and Oxford**, working with a leading research institute in California*** will receive around £4 million over the next five years. Southampton is leading one of four research networks to secure a significant cash injection to speed up progress by working more closely across the whole country, bringing the best experts together, wherever they work. This is part of a £16 million UK-wide initiative – the charity’s Centres’ Network Accelerator Awards**** – to help the fight against cancers that are most difficult to treat. This group is already renowned for its cutting-edge research into innovative immunotherapies, which work by ‘waking up’ the patient’s immune system and harnessing its power to kill cancer. The new funding will help the researchers investigate why some tumours respond so well to immunotherapy, with the aim of identifying patients who are most likely to benefit from these types of treatment, and finding ways of making it more effective for more people. They will focus on melanoma, lung and oesophageal cancers, for which new types of treatment are badly needed. The research project will benefit from the new Centre for Cancer Immunology, currently being built on the Southampton General Hospital site. The Centre, which is expected to open in 2017, will bring world leading cancer scientists under one roof and enable interdisciplinary teams to expand clinical trials and develop lifesaving drugs. Professor Tim Elliott, who is based at the University of Southampton and is Director of the Centre for Cancer Immunology, is a lead researcher for the new CRUK project which could help to save the lives of more people with cancer in the city - and across the UK - in the future. He said: “We’re delighted to have been awarded this grant from Cancer Research UK to further our understanding of how immunotherapies work. This investment is vital to help us improve on these treatments and help avoid any unnecessary side effects for patients. 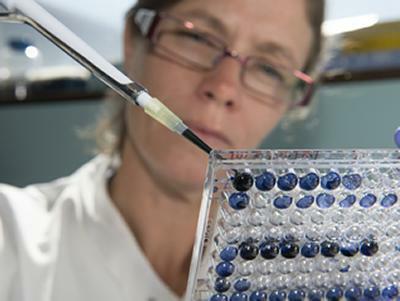 Cancer Research UK’s Centres’ Network Accelerator Awards aim to encourage collaboration between research centres across the UK to inspire new approaches to beating cancer and help turn discoveries made in the lab into better treatments for patients faster. *The Southampton Cancer Research UK Centre is a partnership between Cancer Research UK, University of Southampton and University Hospital Southampton NHS Foundation Trust.